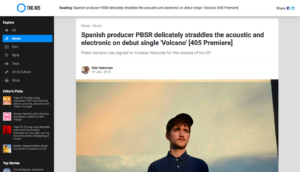 Our role in this campaign was to introduce London-based Spanish producer PBSR to a UK audience in the run up to the release of his first major project, …and dusky doors EP. Over six months, we promoted three singles with accompanying music videos, the last of which was alongside the full EP release. 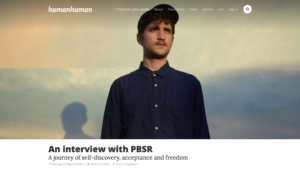 PBSR had just signed to Yucatan Records, but with his exquisitely produced electronic music and stunning visuals, we found generous support with the online music community. 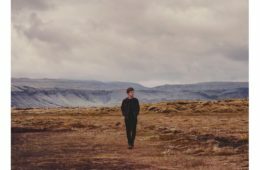 First track ‘Volcano’ premiered by The 405, with a video premiere from influencer Sodwee, alongside online support from 27+ bloggers. 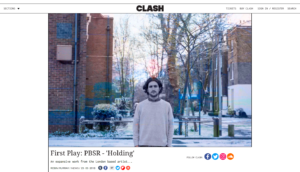 Second track ‘Holding’ premiered by Earmilk, with the music video being premiered by Clash Magazine shortly after. 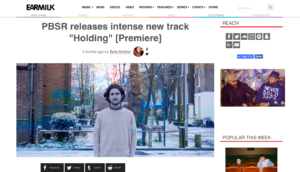 Additional features for ‘Holding’ from The 405, KALTBLUT Magazine, Acid Stag, HumanHuman and more. 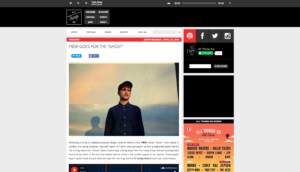 Third and final track ‘Ghost’ premiered by All Things Go, with further online support from bloggers and a highlight being an in-depth interview with HumanHuman.